Sparks album gets released today! 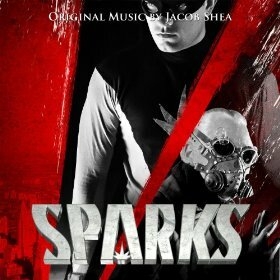 Composer Jacob Shea’s soundtrack album for the film Sparks comes out today! Check it out on iTunes today! Jacob is fast becoming a hot commodity in the film scoring world. You can hear his work in quite a few of Hans Zimmer and Steve Jablonsky’s movies that have come out the last few years. Sparks, written and directed by Christopher Folino, was a joy to work on. I started out just mixing the score, but ended up staying on to mix the final dub as well. It was a great experience to mix all the elements of the film together. I stayed in Remote Control’s studio B for the mix. It was a trip to mix the dialog, sound effects and music together to create a beautiful visual and sonic experience for the viewer. I’m looking forward to doing more final film mixes in the future. Previous Post Currently Mastering the new AC3 album.